For all of you who may have been wondering (or not) about my recent absence in these parts, let me take you along behind the scenes of what has been a whirlwind past few weeks. 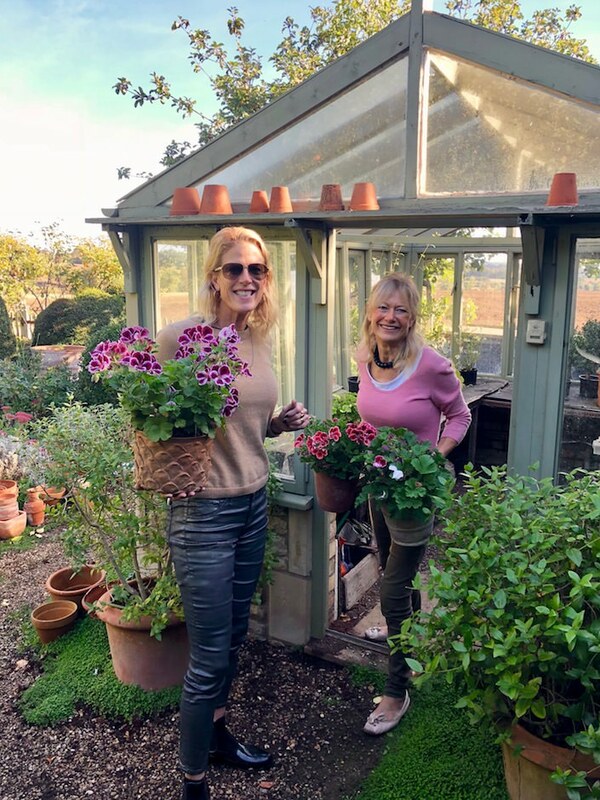 Before leaving for a trip across the pond, Susanna Salk and I were busy filming new episodes for our At Home With video series. 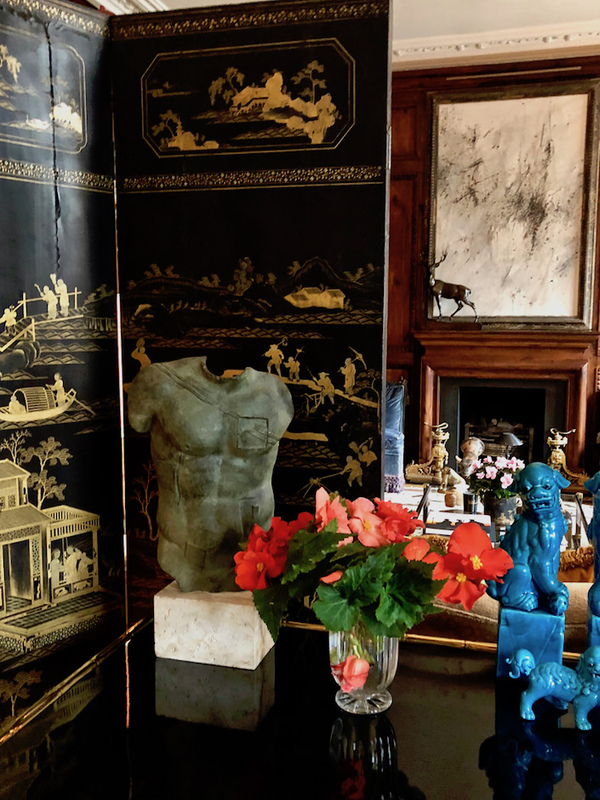 We visited Thomas O’Brien at his extraordinary Long Island home (actually two houses), below, and charming shop, Copper Beach. 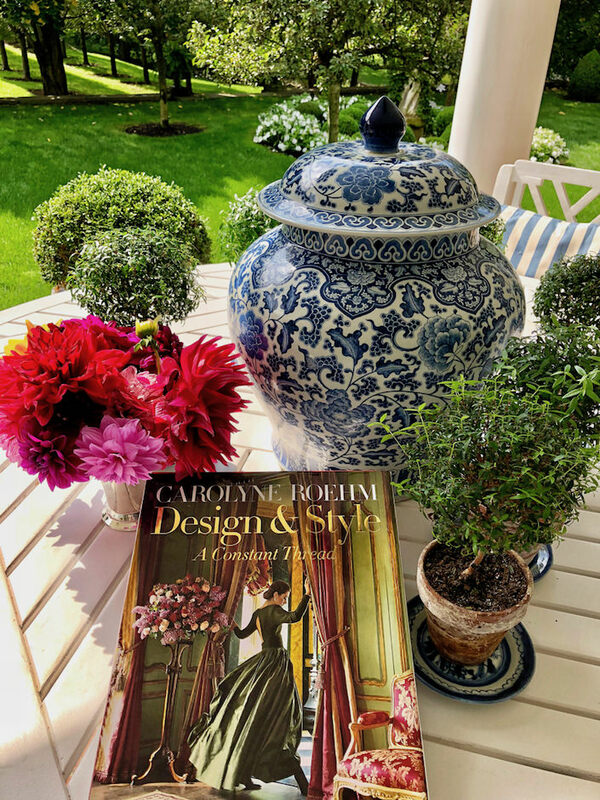 to celebrate her new book, Design & Style: A Constant Thread. Stay tuned for both of these episodes later this fall!! 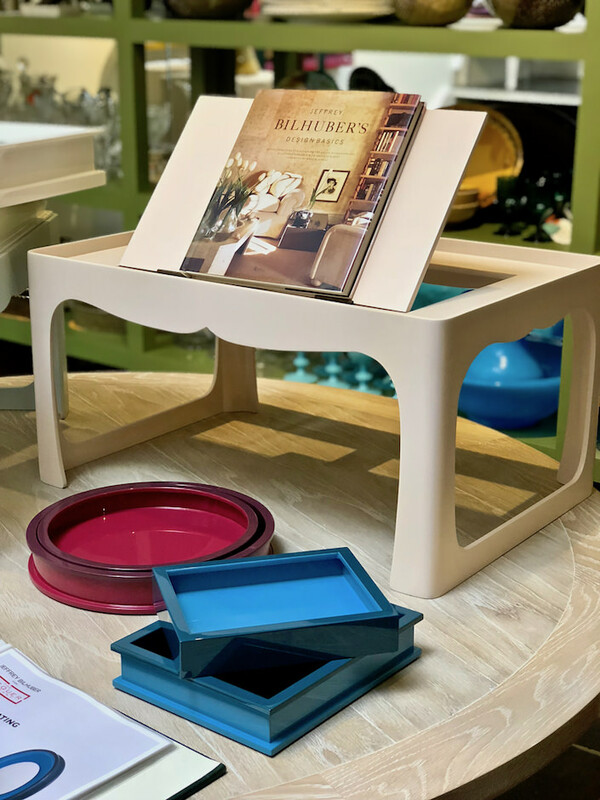 to trays of all sizes, colors and configurations, it is a chic, practical and covetable collection in Jeffrey’s masterful colorful combinations! 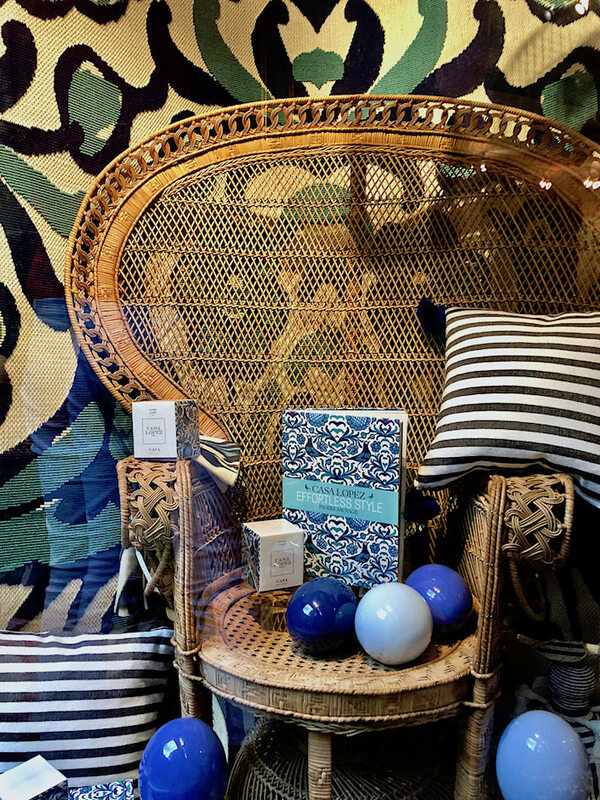 Pierre Sauvage, owner of the stylish Parisian homeware emporiums, Casa Lopez, was at favorite cabinet of curiosities, Creel & Gow, for his NYC book party – the shop’s window display below. 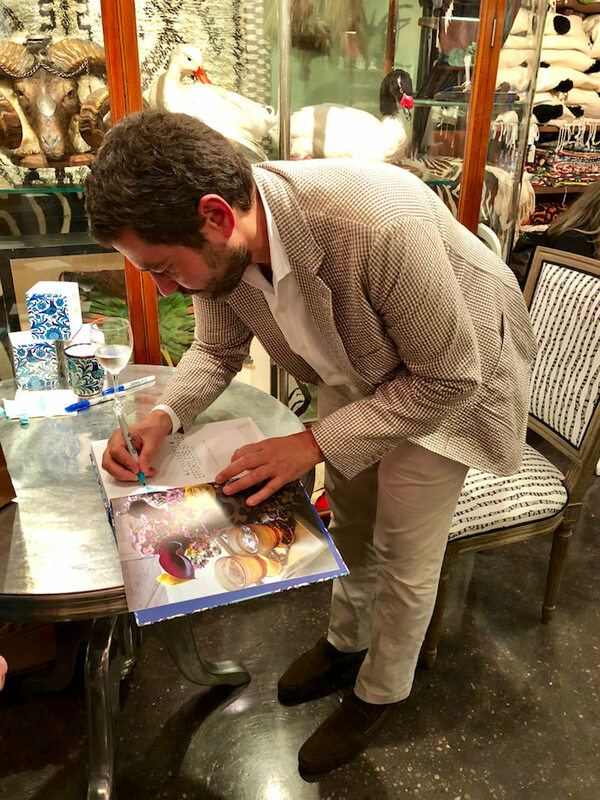 As always, it was a hopping evening with the design aficionados out in force to meet and greet and have the dapper Pierre sign their copies. 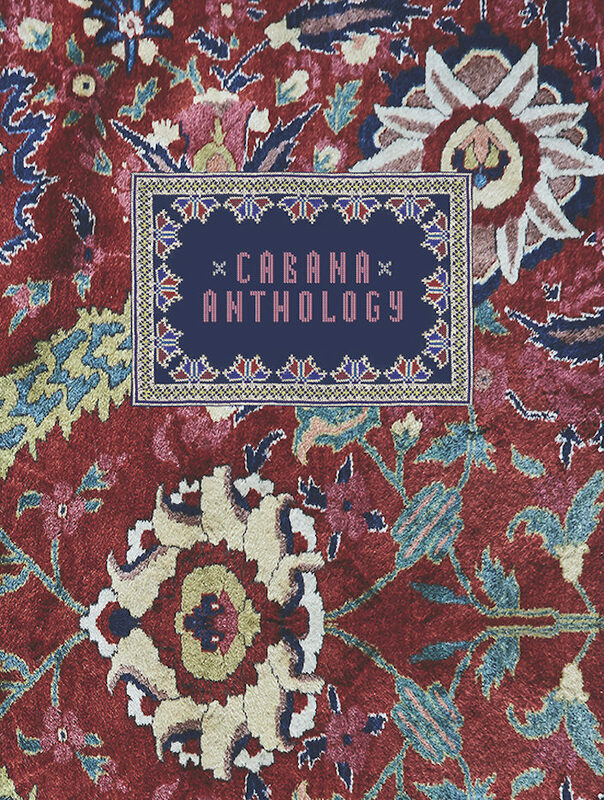 to celebrate the launch of Cabana Anthology, a new volume looking back at the first ten issues and five years of this special, intimate and maximalist publication. 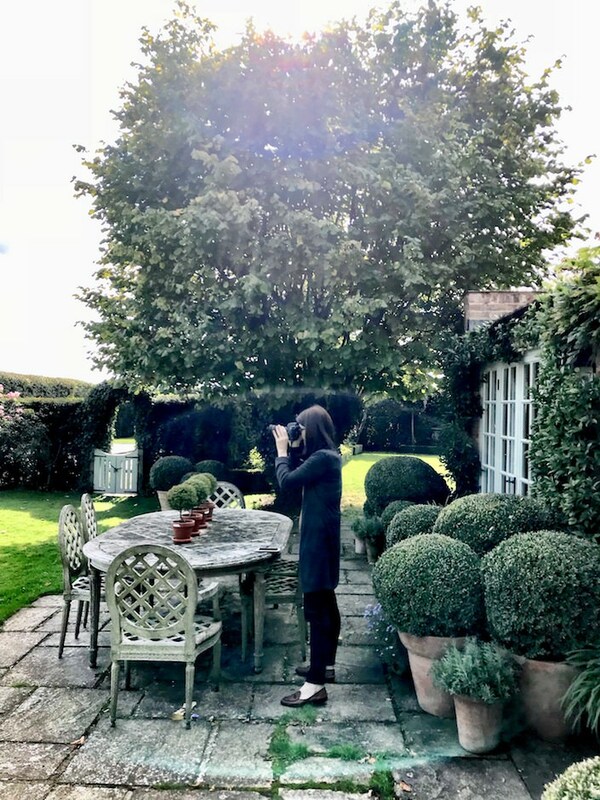 Then, Susanna and I headed across the pond for our first group of shoots for Dogs and Their Designers in the English Countryside: Sharing a Stylish Life, the British sequel to the American version published last fall. 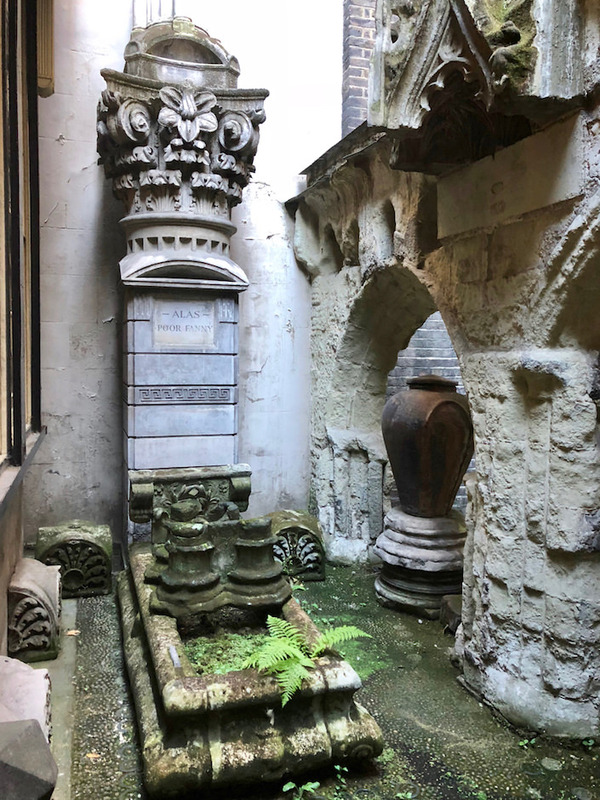 We allowed ourselves a day to get acclimated to the time change and snuck in a few must-sees in London, including a private tour of the Sir John Soane Museum (thank you friends Anne Hardy and Alice Ryan Miller). 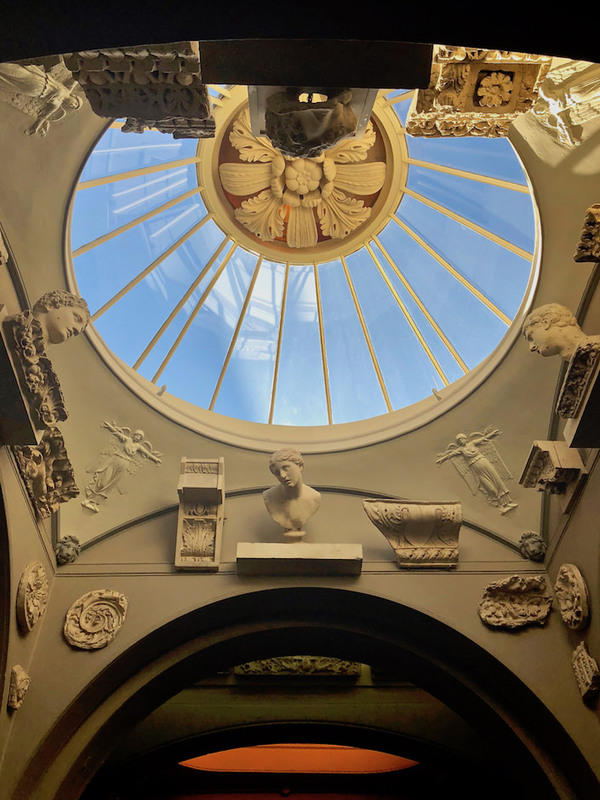 For those of you who have never experienced this remarkable house museum, put it on your list for your next trip to London. It’s an inspiring singular sensation. And fittingly, below, is Soane’s gravestone for his dog Fanny. 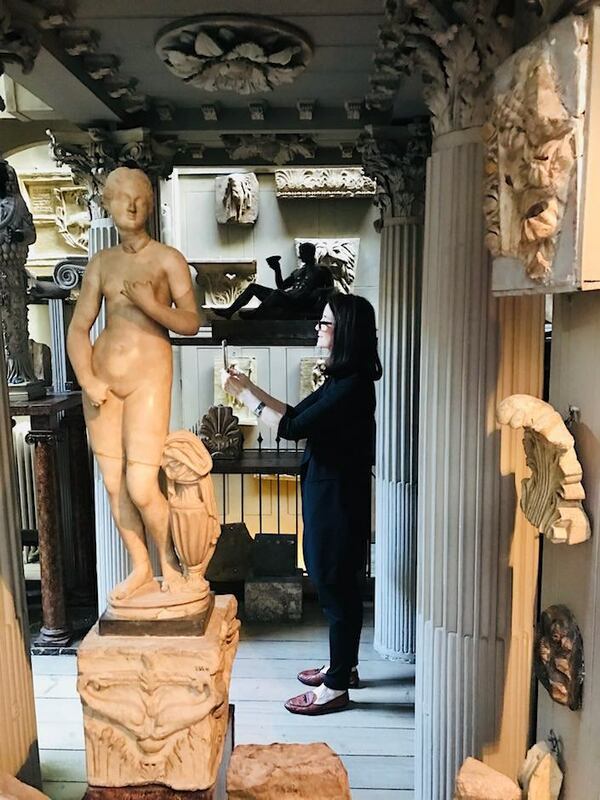 Susanna made a point of capturing me behind the scenes all along the trip – below, mesmerized among the ancient artifacts. 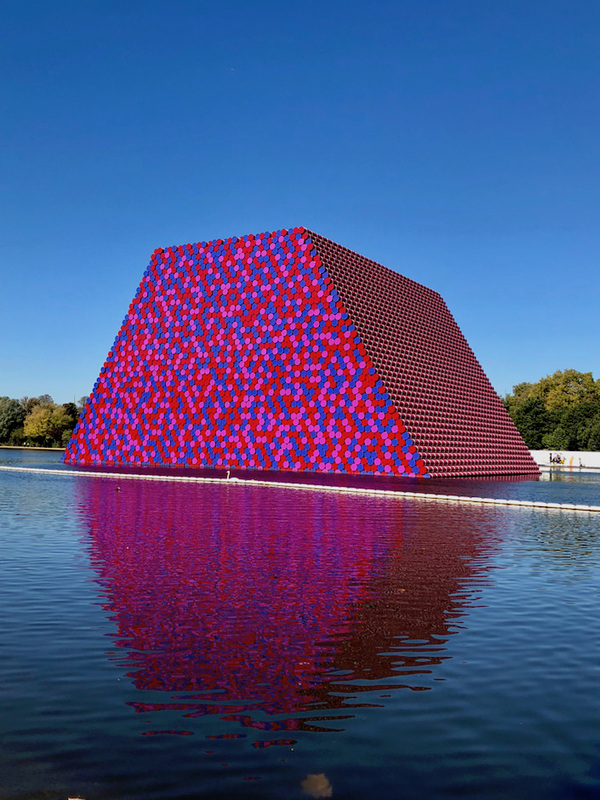 We were lucky to catch the tail end of the Christo’s London Mastaba, the amazing temporary floating sculpture in Hyde Park’s Serpentine Lake. The artist’s first major outdoor public work in the UK, it consisted of 7,506 barrels, weighing 650 tons, specifically made and painted for the sculpture, on a floating platform. 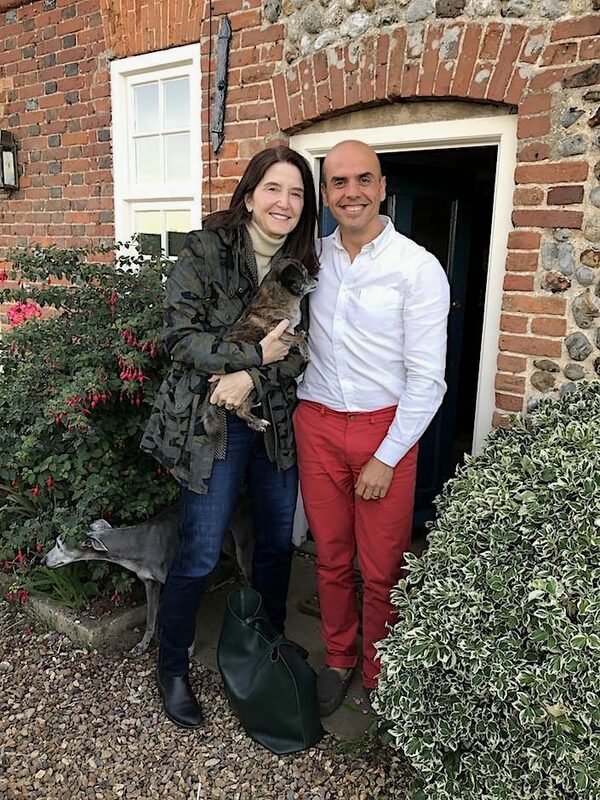 Our first shoot took us to Norfolk, to visit designer Carlos Sanchez-Garcia, his whippets Theodora and Tristan and latest addition, Alfred, below. It’s amazing how welcoming Carlos, who we’ve only known through Instagram and his partner, Michael were, not only treating us to a lovely dinner but putting us up for the night in their charming home. 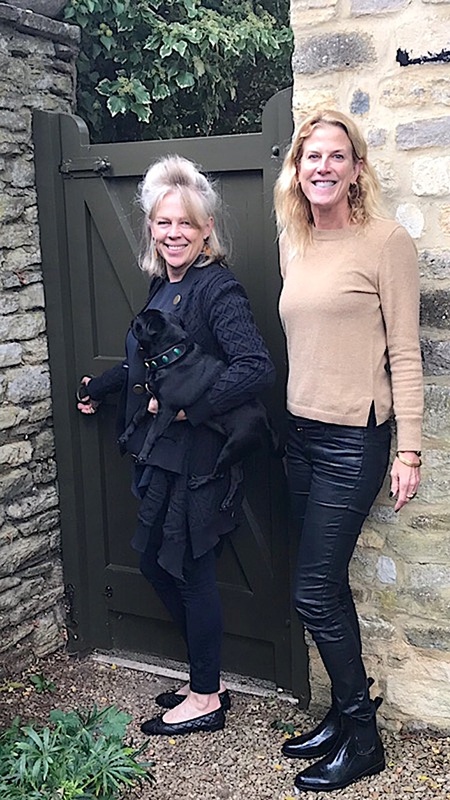 We then visited landscape architect, author and BBC Radio 4 host, Bunny Guinness and her dogs Grace Jones and Beatle at her beautiful house and garden in Cambridgeshire. 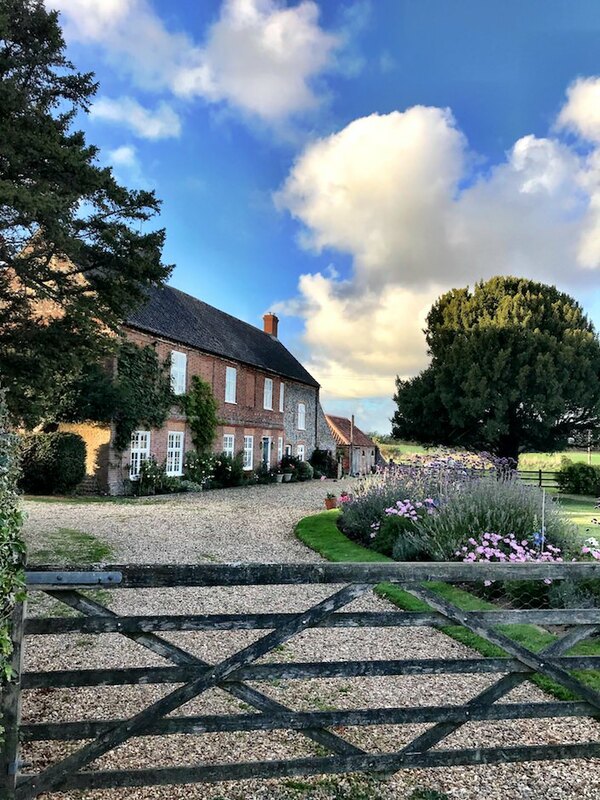 And lest you think we were just casually popping from one house to another down the road, let me give a major shout out to Susanna, who not only expertly planned this 9 days of shoots but fearlessly drove for miles on end (on the wrong side of the road AND car) in the English countryside. 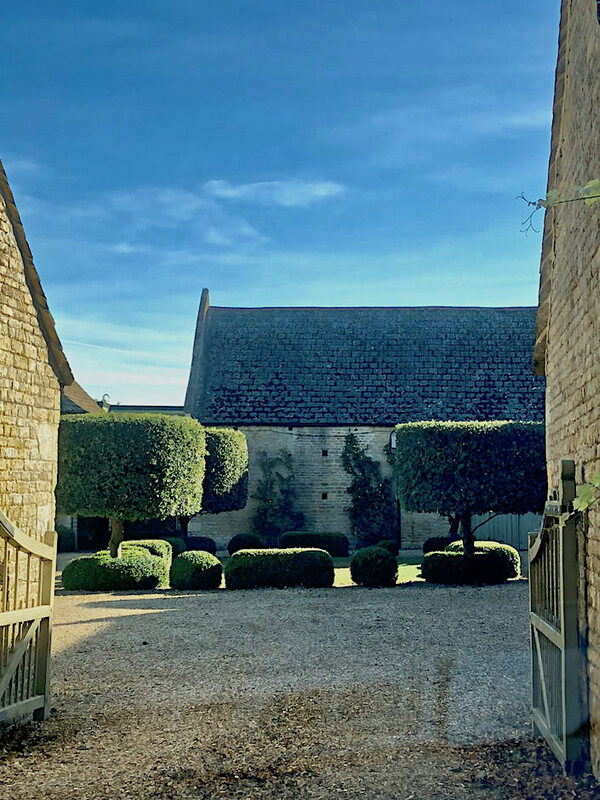 Based in London, we ventured out each day to a different destination, hours out of the city, navigating endless roundabouts, impatient fast lane drivers and narrow local roads. 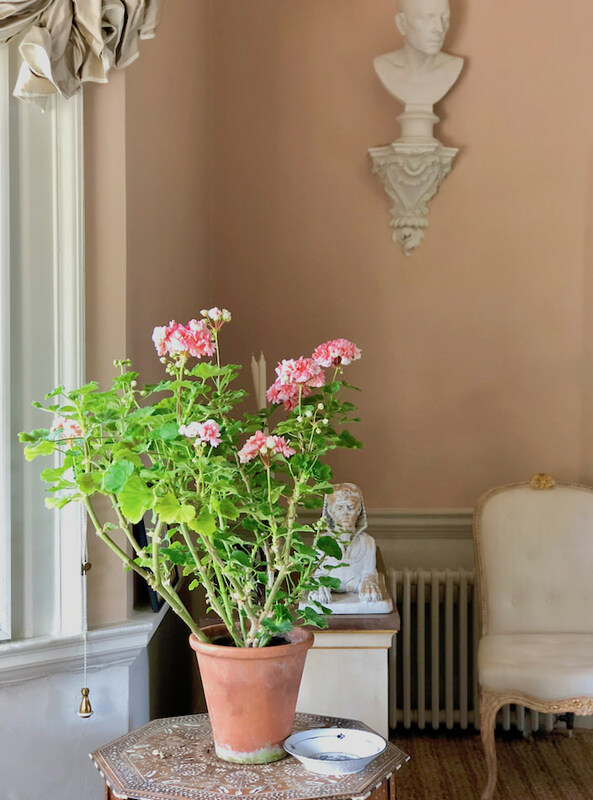 Arriving at The Temple, Veere Grenney‘s gracious country house, it was a treat to see the elegant pink great room that we’d only seen in print, laden with geraniums that he grows in his green house on the property. 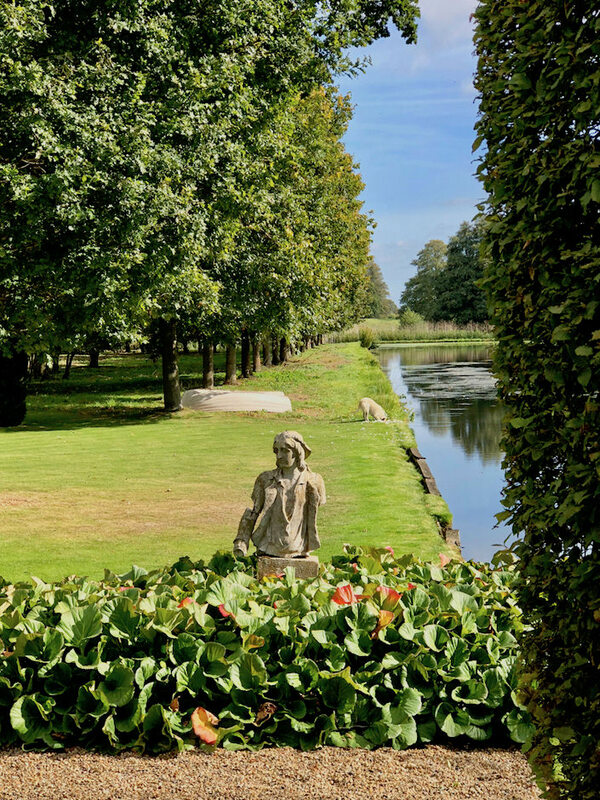 Above, Rio, his elegant lurcher, explores near the pond. 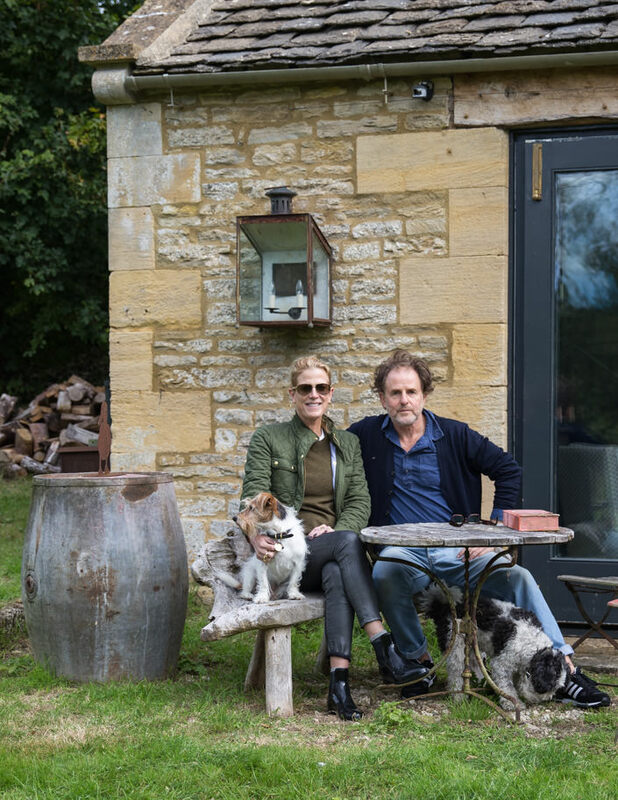 Every house is unique and designer and antiques dealer Christopher Howe‘s Gloucestershire cottage is a clever and resourceful renovation of a small country barn, filled with carefully edited finds, each with a personal story and history. Susanna and Apollo bonded immediately. 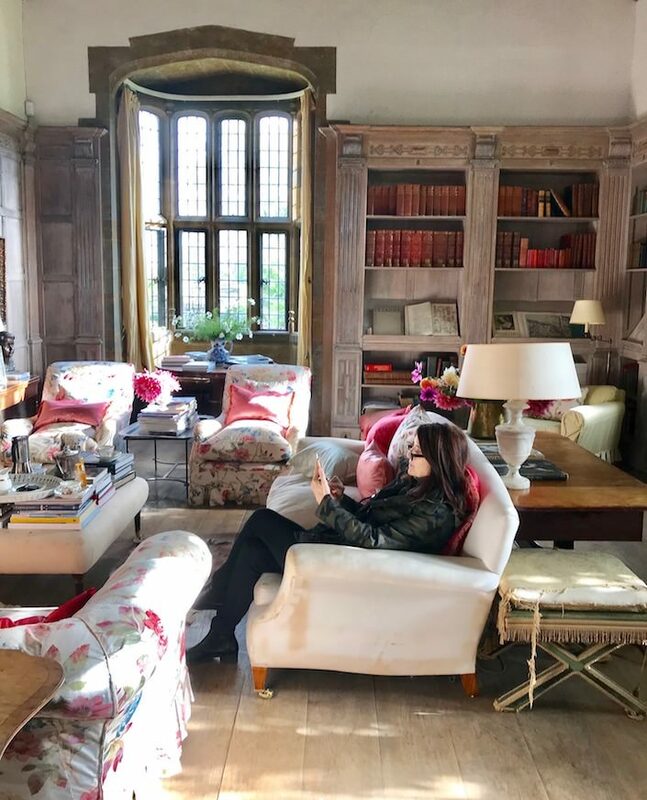 Our next destination, Wardington Manor, home to Bridget Elworthy, half of The Land Gardeners duo with Henrietta Courtauld, is a bit like a relaxed version of Manderley, the famed fictional house in Rebecca. they deliver weekly to lucky London recipients. If it looks like I was settled in, you would be correct – it was very hard to leave that comfortable spot! 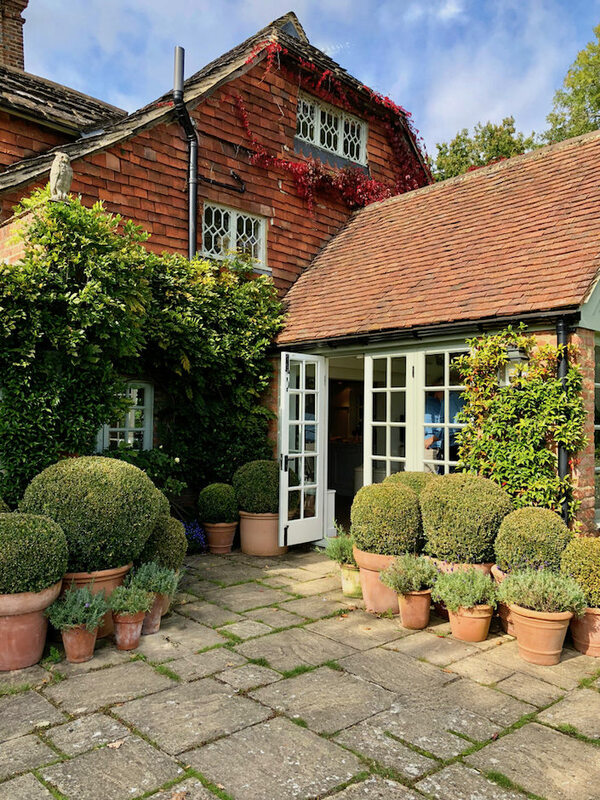 The only home we could reach easily by train was Paolo Moschino’s and Philip Vergeylen’s West Sussex farmhouse. 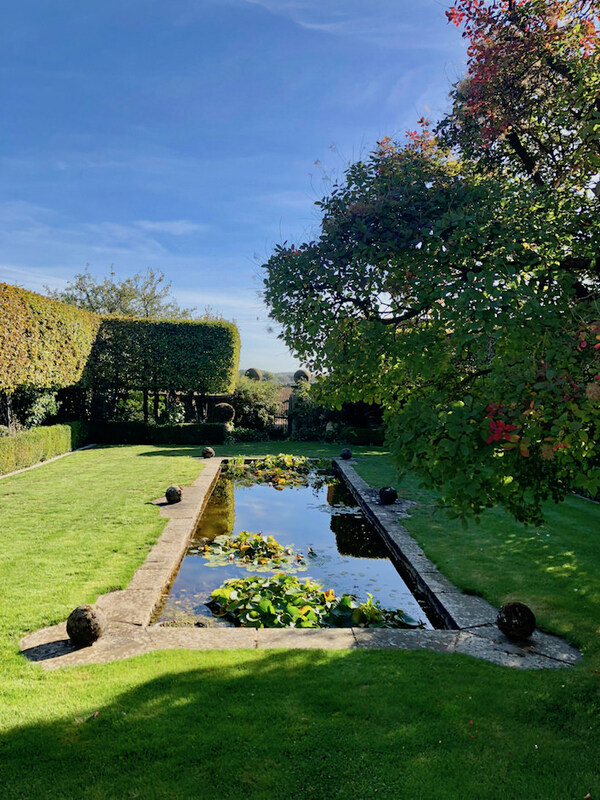 The best of both world’s, it is easily accessible from their busy lives in the city and yet totally private and bucolic with generous yard and garden. Their adorable French bull dog puppy, Jack, was frisky but managed to relax for a few minutes on the sofa in the chic guest cottage. 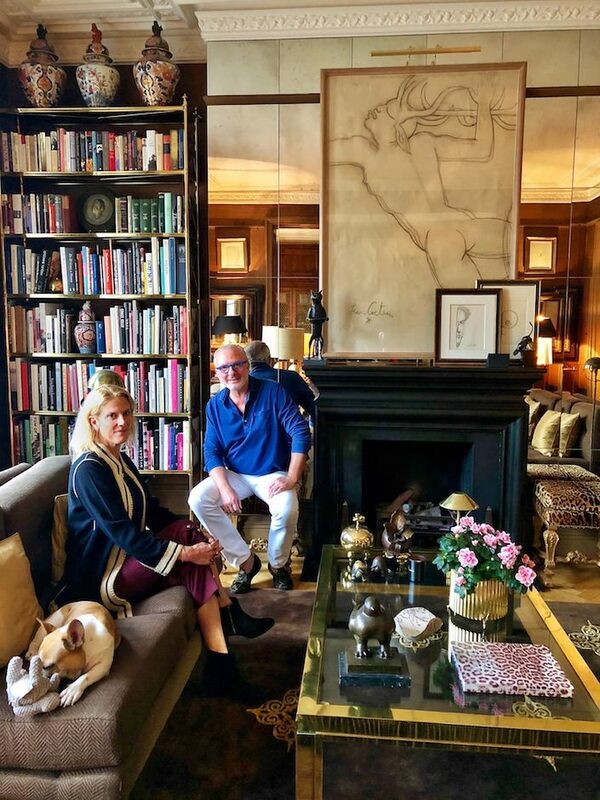 Happily, Paolo was also able to film an At Home With video segment with us at his and Philip’s glamorous London apartment. 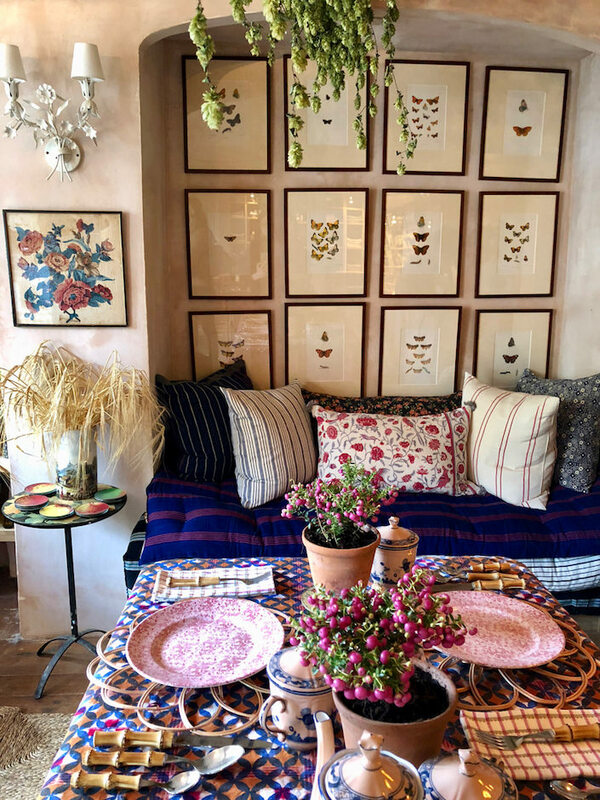 the apartment is the perfect spot for in-town entertaining and a short commute to their London shop and design studio, below. 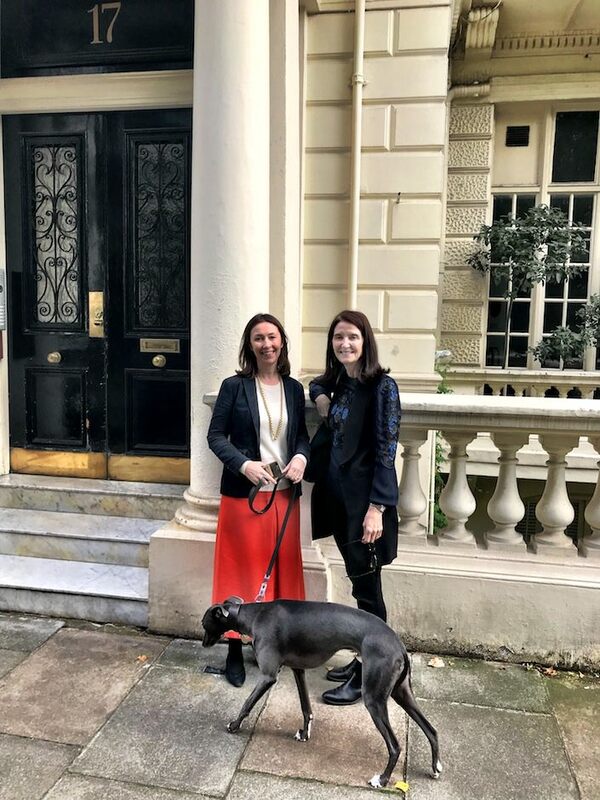 We were thrilled that we were also able to visit with Lulu Lytle of Soane for another London At Home With video shoot. 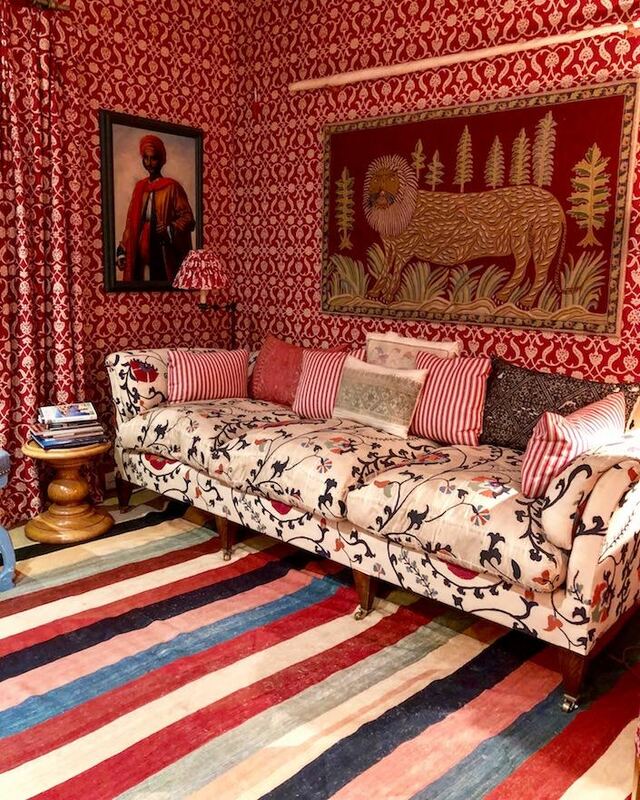 You may recognize Lulu’s distinctive apartment from Susanna’s recent Power of Pattern Book. 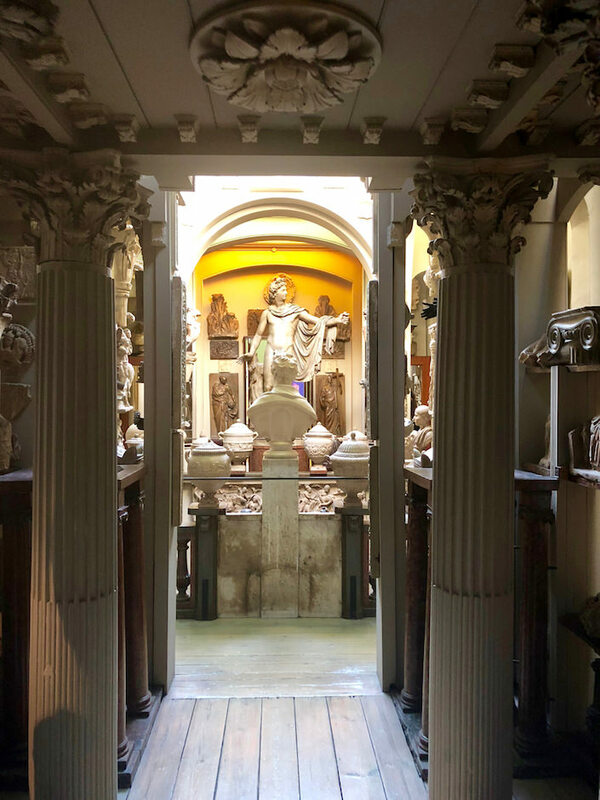 and finally make the pilgrimage to Soane’s chic London outpost. 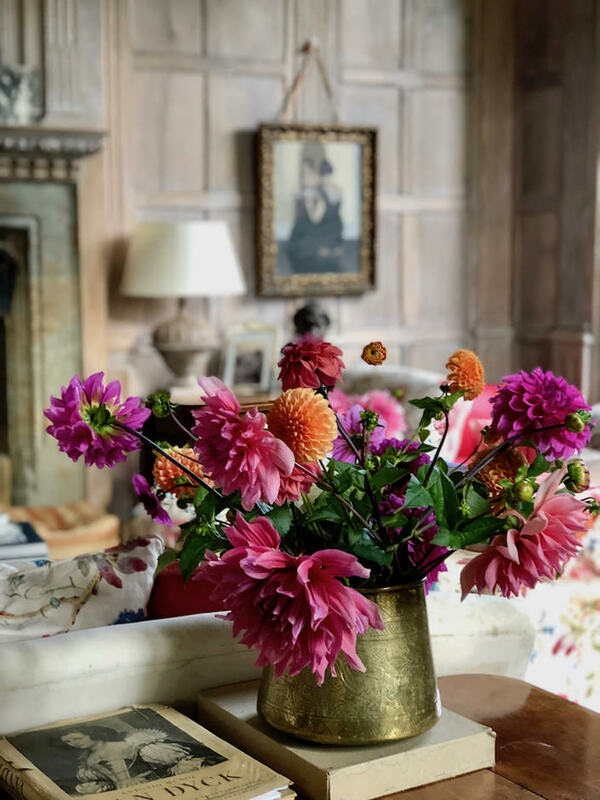 Our final shoot for this trip was with Emma Burns, design director of Sibyl Colefax & John Fowler, and her pug, Dahlia, at The Dovecote, her quintessential English country house. 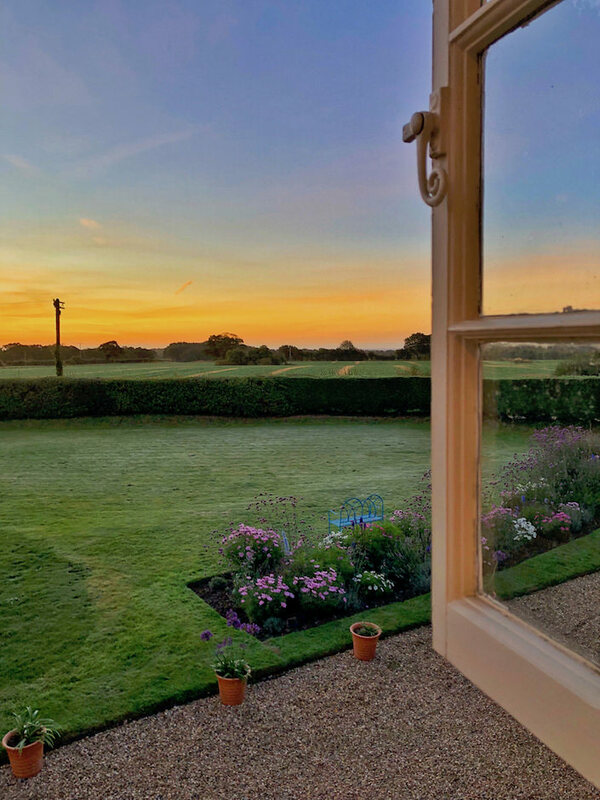 Originally purchased and renovated by her parents when she was a child, Emma has continued to work on the house over the years, updating while maintaining a classic and comfortable country feel. 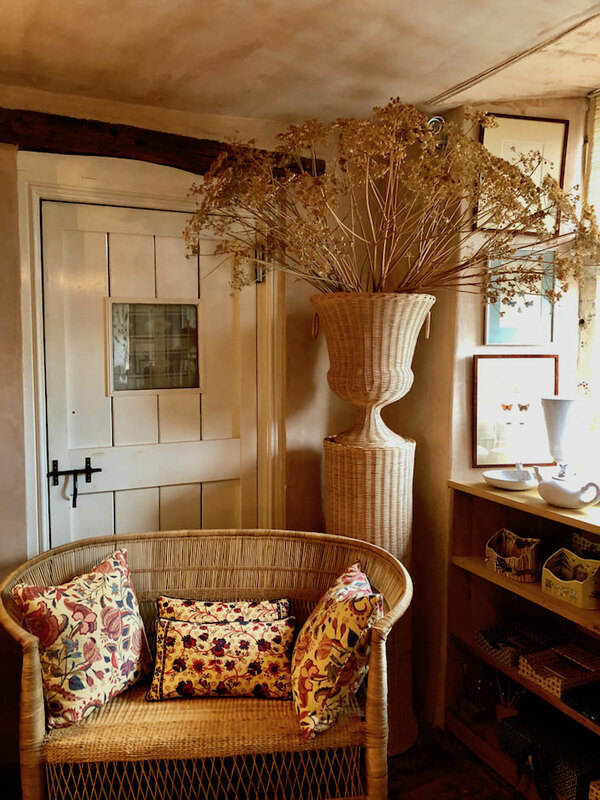 Happily, Emma’s house was not too far from Amanda Brooks’ much lauded new shop, Cutter Brooks in Stow-on-the-Wold. A stop there confirmed all the hype. Charming with tempting wares in many categories, it is definitely worth a detour if in the general area. 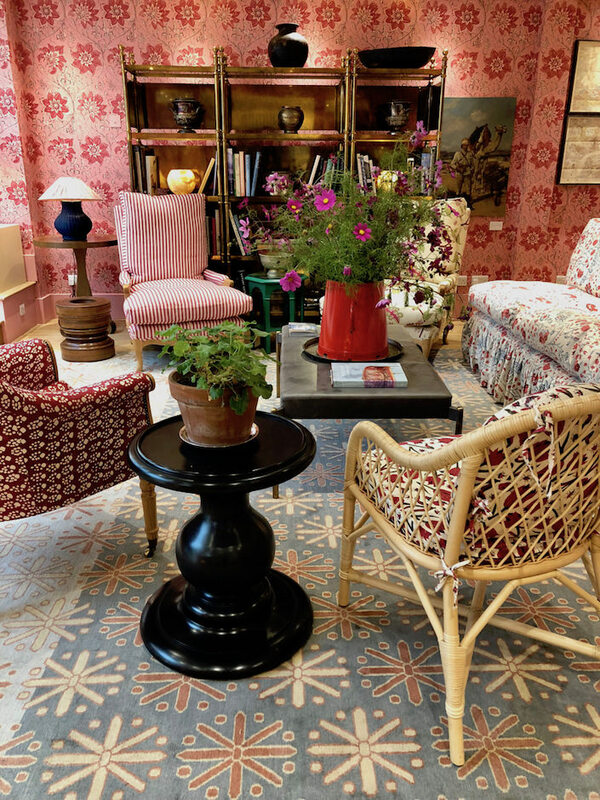 The front room is dedicated to home and the rear fashion. And while I did wander to the back, it was the front room that captured my full attention. I loved seeing Atelier Vime represented, as well as Scanlon Apparati, la Tuile a Loup and many other favorites. 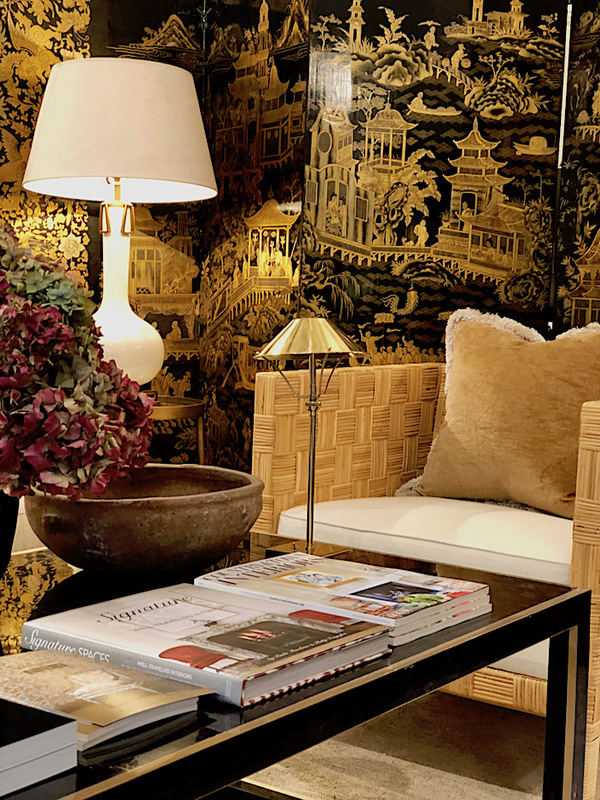 I would be remiss if I didn’t mention our home base during this trip – Kit Kemp’s stylish Haymarket Hotel, where the staff went above and beyond to make our stay comfortable and enjoyable. It was always a relief knowing we would be taken care of after a long day on the road out and about. I am already looking forward to returning next spring to shoot our next group of English designers and their dogs in the countryside. And in the meantime, stay tuned for new video visits from here and across the pond coming every month! 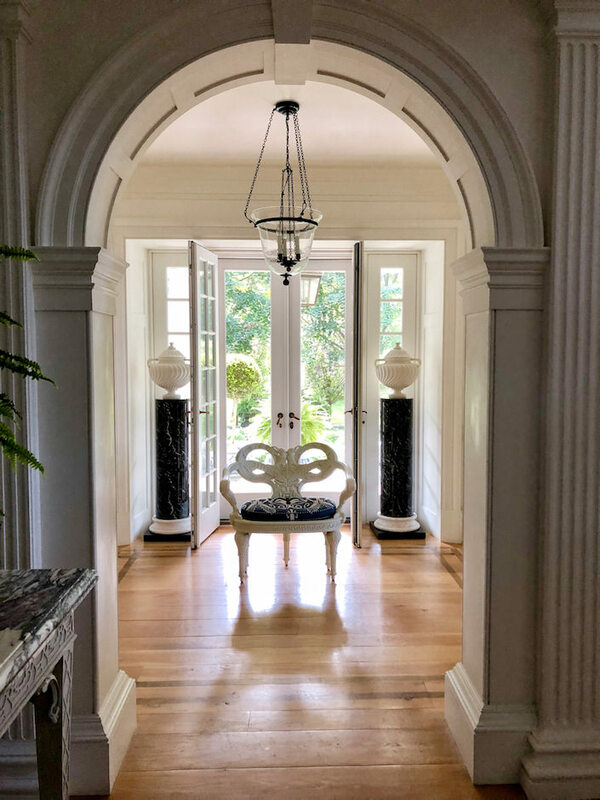 This entry posted in books, design, interior design, travel. 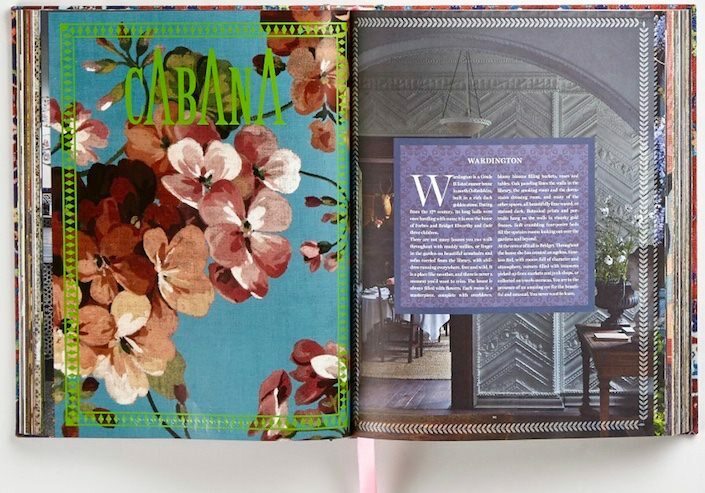 Entry Tags: Bunny Guinness, Cabana Anthology, Carlos Garcia Design, Carolyne Roehm, Casa Lopez, Christopher Howe, design book, dogs and their designers, Emma Burns, interior design, Jeffrey Bilhuber, KRB, London, Paolo Moschino, quintessence video series, Sir John Soane Museum, The Land Gardeners, Thomas O'Brien, Veere Grenney, Video Bookmark the permalink. This is such an interesting collection of very different styles. I really love places that reflect the personality of their residents and are created in layers over time. This post is wonderful. It is almost like ten in one… beautiful! Thank you Ann – I had a lot to catch everyone up on!! What a delightful post! 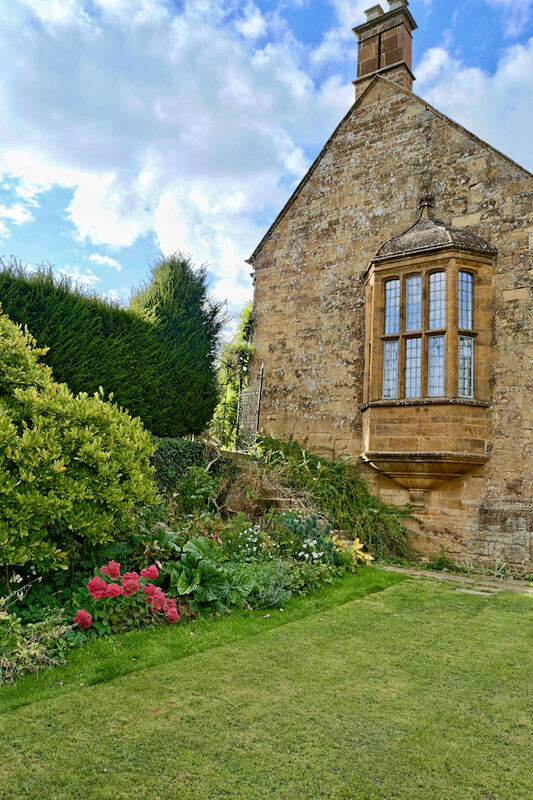 I could spend lots of time perusing the homes and places featured here. Thank you Paula – so glad you enjoyed! Thank you Cathy!! All of us at Quintessence is just me ;-) and with Susanna for the video series! I feel like I have been taken away to a safe and peaceful place, full of extreme beauty, each time I view your photographs. Keep them coming! They really uplift my day. Delighted to hear that – thank you Donna! Thank you Teresa – it was indeed a glorious trip! Very nice. 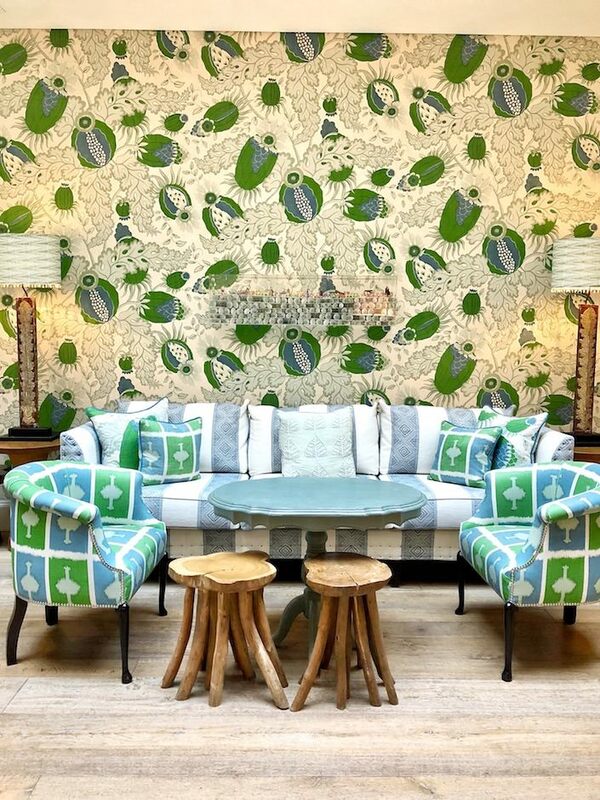 Love seeing decorating ideas from across the pond. Absolutely marvelous. I was completely transported to heaven and let the telephone ring while I immersed myself in this portfolio. And this was a mere tidbit of things to come. I actually let out sighs of pleasure and delight whenever a new pup or two were introduced. These are intensely loved homes. Nothing presented here is only of the moment, or a passing trend. 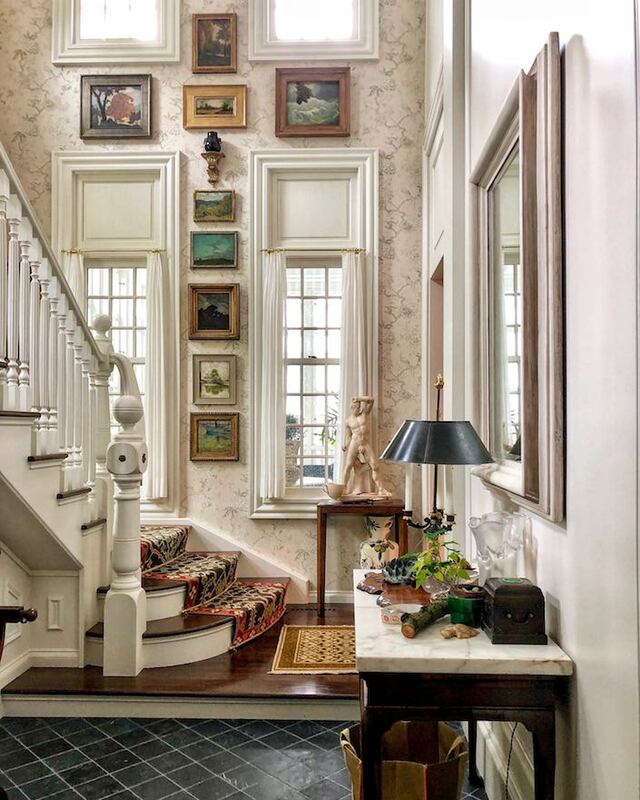 One would look forward to coming home to any one of these spaces. What I saw was calm and simple luxe. I feel this is achievable because you have just presented it. Thank you ladies. Thank you! Quintessence reports The Worlds Most Beautiful Homes ! 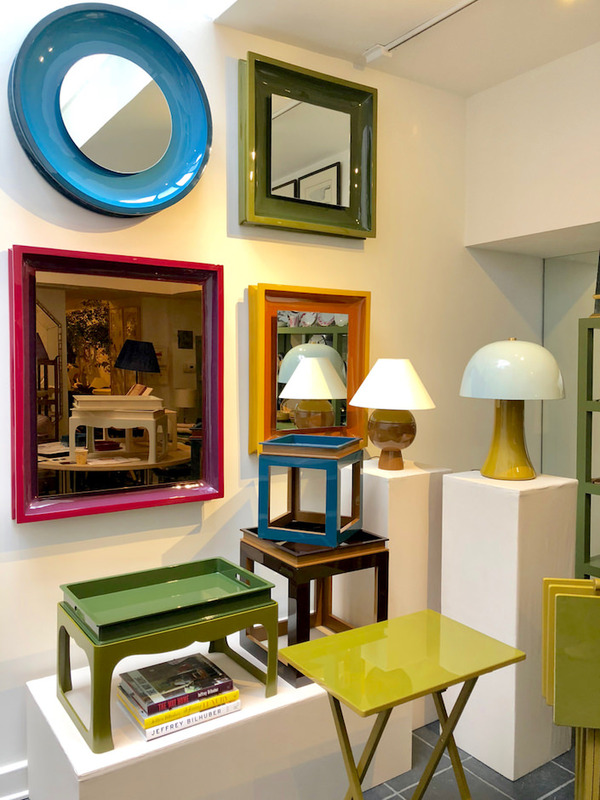 It’s Like Quintessence takes one right inside The Designers Houses !…..It’s a lot the see ! Thank you Al!! That’s the goal! Always transported to another world through your joyful, discerning eyes. Thanks for sharing your journeys with us! And thank you Neil for your loyal readership and thoughtful comments! This post is a feast! I know I will come back to it many times. You two do such interesting things! Thank you Ellen! There was a lot to share!! 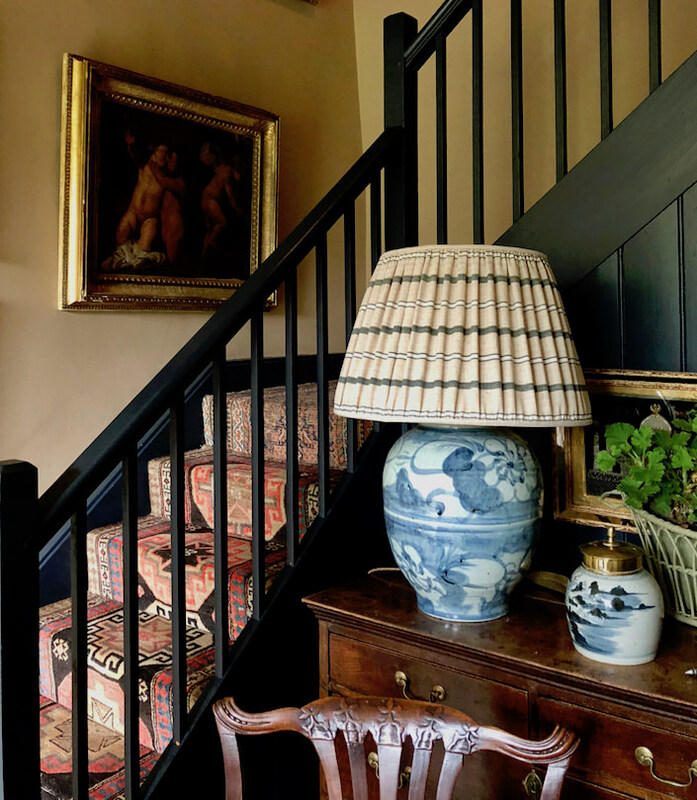 Your posts are always so much fun and I love entering the homes you choose. 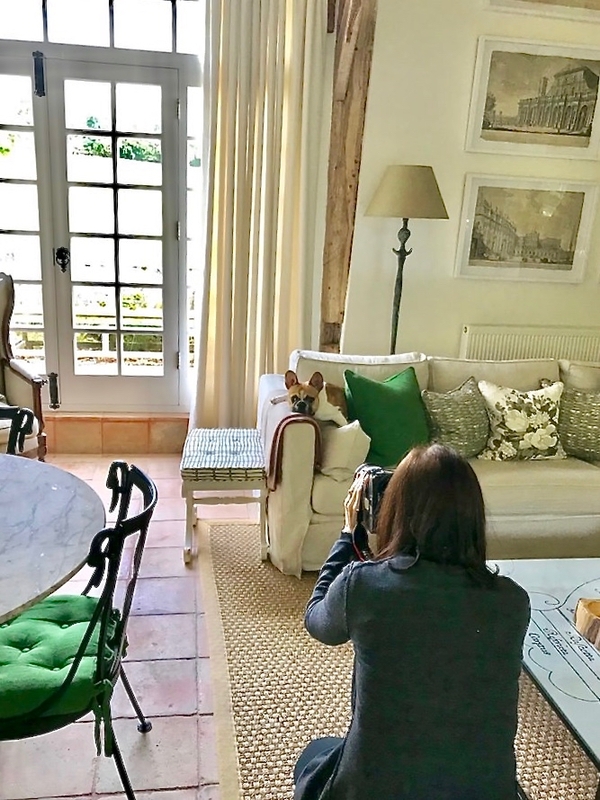 You always present in such a personal way, like guests rather than a magazine shoot. Well done, can’t wait to see the videos! Thank you Pamela – exactly my goal here and also Susanna’s and my goal with the videos – so glad you enjoy! Thank you Mary – it was truly inspiring – glad you could tag along! Love living vicariously through your travels. 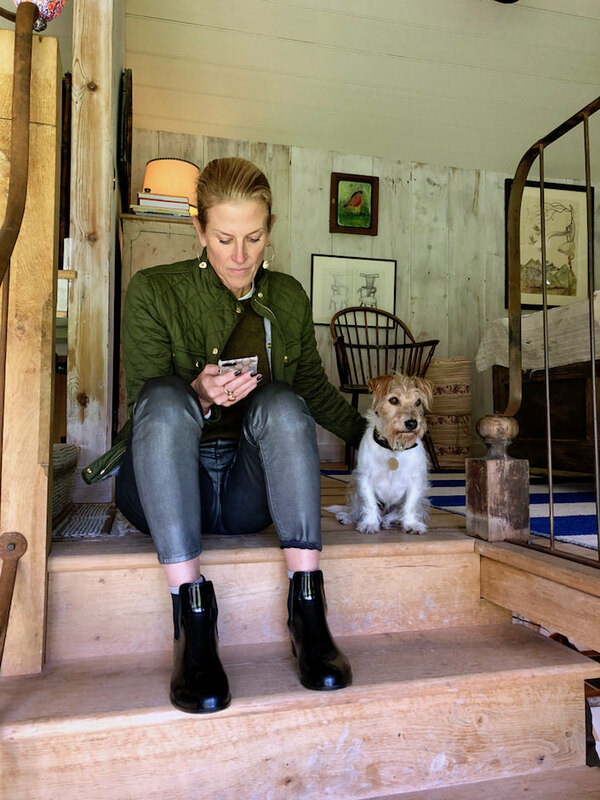 One wonderful place after another…..hope Amanda Brooks farm & her dog Gingy are included in addition to her shop…& as a bonus, Juice??? Thanks Kris – it was a fantastic trip! We’re hoping to shoot Amanda on our trip in the spring – we’ll see who joins in!! Love everything in this post…so much to see! 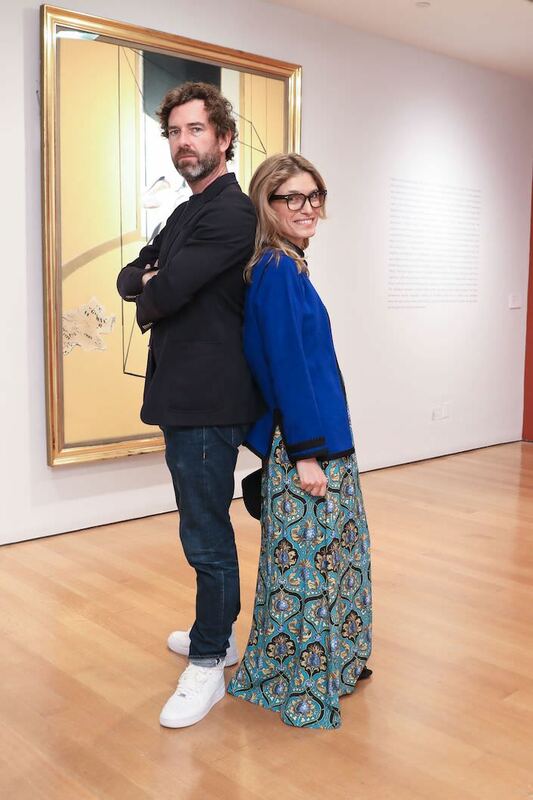 Thank you both for all of your efforts in sharing your delightful adventures with us. How fabulous! I love every photo! Just made my day. I’m in the middle of decorating two new rooms in our home and taking a break for inspiration. While recharging I opened your blog. Wow! I felt as if I was on the tour with you – inspiration was in every photo. Thank you! Love it! Love all your books – can’t wait for the next one! 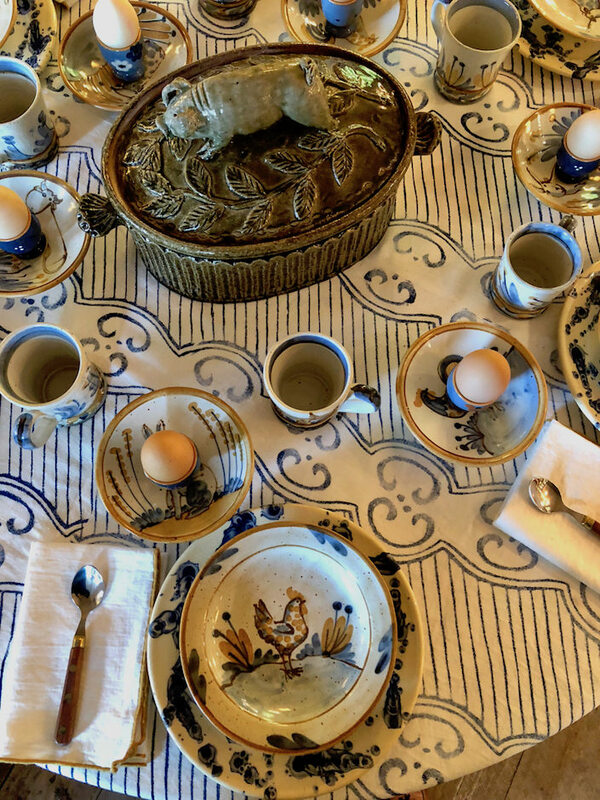 Please come to Hillwood museum,home and gardens in Washington DC. I think you would love it! Congratulations on your lovely work. 83 queries in 0.688 seconds.